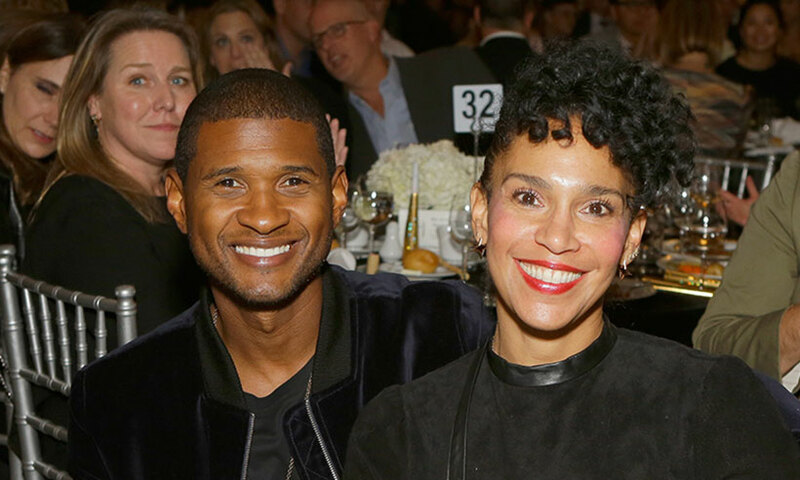 Usher and his wife Grace Miguel have announced their separation. The couple, who have been together since 2009, confirmed that their two-year marriage is over in a joint statement on Tuesday. "After much thought and consideration we have mutually decided to separate as a couple. We remain deeply connected, loving friends who will continue supporting each other through the next phases of our lives. The enormous amount of love and respect that we have for each other will only increase as we move forward." They said, via Us Weekly. A source also told the publication that the couple have been separated for "a couple of months". Usher, 39, and Grace, 48, tied the knot in 2015 after six years of dating. Usher was previously married to Tameka Foster from 2007 until 2009 and they have two children together, Nayiyd Ely and Usher Raymond V, while Grace is a mother to daughter Leaf and son Raiden from a previous relationship. News of the split comes after Usher posted a series of inspirational messages on Instagram Stories, saying: "Destiny is waiting for you, all you have to do is go get it." In 2015, Usher gushed about Grace and their mutual love of travelling. "One thing that has come from having a great partner like Grace is being able to cherish the places that I've gone," he told Billboard. "We see the monumental sites, go to the museums, eat in the best restaurants. I'm that guy now! In the past I'd do what I have to do and get on the bus to the next city. Life has become a vacation." He added: "She's someone who has been able to support and understand all of who I am. Not just as a dancer or as a performer or as a singer, but as a humanitarian and a businessman and as a person."